A bold, bright classic with a padded cover. We bet the vivid pictures make you smile. Read-alone joy: a shiny padded cover, lots of easy words and colours as bright as jewels. Plus a story that mini readers know and love. Hurray! Jack Tickle’s picture books are huge. You can spot them a mile away with their super-bold colours and smiley characters. Now this brand new version lets you read one of his most popular stories all on your own. 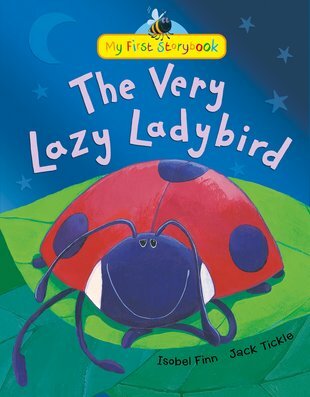 Meet the lazy little ladybird who doesn’t want to fly.